Today is a great NEWS day for ME....MY daughter and grandson who live in Florida are safe....we just received a text from her.. she text......we are OK......I was praising and thanking God this morning....I prayed for God to poke the eye of ALL 3 hurricanes....Irma...Jose...and Katina...in Jesus name amen and amen...MY thoughts are of MY own....how spoiled I am here where I live and SOMETIMES.....I take things and people for granted......I TRY to be of service....the library and church I TRIED to be a volunteer has not worked out...nothing heard back from library and I went to church meeting to help with babysitting after school teens...not MY cup of tea...I passed....so I came here to local library and thanked God for FREE COMPUTERS....I logged on to site and I read some blogs......I TRY to be of service here and NOW when I finished God willing..... I will walk home to do MY bible studying...what really amazes ME...how it takes ME to think of others.....BEFORE....ABOVE....MYSELF...only by Gods grace does this happen...bad news gets MY attention....I am only talking about ME....not anyone else...when I received a text from a friend......her husbands mom passed away.....when......I received a text from a friend...they are safe in Florida....when I received a text.......MY husband sisters were both .....healed of lung cancer....one of them was a witness to her church community....I received a text....MY husbands mom is very ill with heart and kidney troubles.....she is at home now......he went to see his mom for himself and spent time speaking love and remembrance and thanking her for being a great mom...grandma....great grandma....and the rest of the family was there and it was freeing for MY husband.....He shared with ME when he returned home.....then I come here and I remembered Doris who use to send me love graphics of encouragement when I first quit using nicotine......I sent Staci a love BADGE...I hadn't seen her here until the Florida storm....then I read Sootie blog on Lady Betty......I remember Betty sent me love graphic when I was a NEWCOMER....then I read a comment from Thomas to another he was helping...and....I sent a love note to Thomas...I remember HOW HE NEVER GAVE UP ON ME......he taught ME in early recovery to keep coming back and reading blogs.....and to LOVE OTHER ABOVE MYSELF....that's what Thomas still does today......I am sharing MY thoughts....TODAY.....due to ALL the texts of loved ones not just affected by a earthly storms.....TODAY......MY storm is of the heart....to continue to be WILLING to accept when I LOVE UNCONDITIONALLY..GOOD AND BAD NEWS AND REMAIN SPIRITUALLY BALANCED THROUGH IT ALL...one day at a time...yet it took ME to pay attention to how PRECIOUS AND SHORT THIS LIFE REALLY IS....TO ME......it is due to life JUMPING OUT OF THE BUSHES.....AGAIN...to teach ME not to take life and those I love for granted.....you never know.....this could be MY last day on this earth.....YOU NEVER KNOW.....just sharing MY thoughts....I sent a prayer card to my friend who......lost of a mom......I was prompted in MY heart for ME to.... text MY mom....I love you and then I called her to talk awhile....then I got on MY facebook page....Joy McKinley Taylor....if anyone wants to be friends on fackbook with ME....I am inviting you NOW.......just sharing MY thoughts....I am going to TRY and be more aware and NOT wait to get texts of sorry news...bad news...or things that JUMP OUT OF THE BUSHES AT ME...TRY IS MY WORD FOR TODAY.......to help ME remember....life and people are PRECIOUS and fleeting....it is written.....Your life is but a MIST.......thanks for letting ME share MY thoughts....STAY QUIT NO MATTER WHAT I THINK OR WHAT JUMPS OUT OF THE BUSHES......in Jesus name amen....PLEASE take what helps and let go of the rest....to be HELPFUL is MY only aim. No jumping out of bushes for ME today. 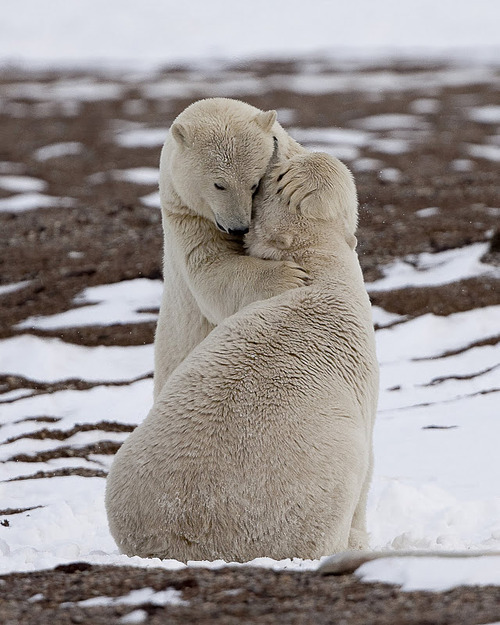 Just giving you a gentle hug and much love! Thanks Nancy for your love and understanding. I accept your hug because I so needed a hug. A correction Joy DuMarce Taylor my facebook name .... sorry typo error... laughing out loud. What a lovely blog, Diane Joy, so much love and caring and sincere gratitude to so many. You are an amazing example to all of us of how to love and be grateful and give thanks. I am really glad that you are here. Thank you Ellen please know I love you for understanding and sharing yourself and time with ME and many others here in UNITY to stay quit no matter what TOGETHER.... your wisdom love kindness encouragement always keeps ME in attitude gratitude.... hug and kiss on each cheek for you. Thank you Lady G for always keeping me focused on STAYING quit too . It is amazing how much Joy you spread to this site and to the people in your life! You spread it in all you thoughts, words, and deeds! You even bring Joy with your name! Your welcome and thank you for loving me too. I so appreciate you Tommy too.